Then, we’re hit with what seems like another round of unexpected expenses (like snow tires and insurance), must-have sales and unaccounted for basics like eating out, birthday gifts and more. Welp. Did that money even make it to our accounts? You’re not alone. According to the Federal Reserve, nearly half (47 percent) of American families are unable to afford an unexpected $400 expense. So, with the New Year fast approaching (where did the time go? ), we’ve resolved to not wait until January to get our finances on point. Thankfully, there are personal finance apps you can use right from your phone to get you started in minutes. 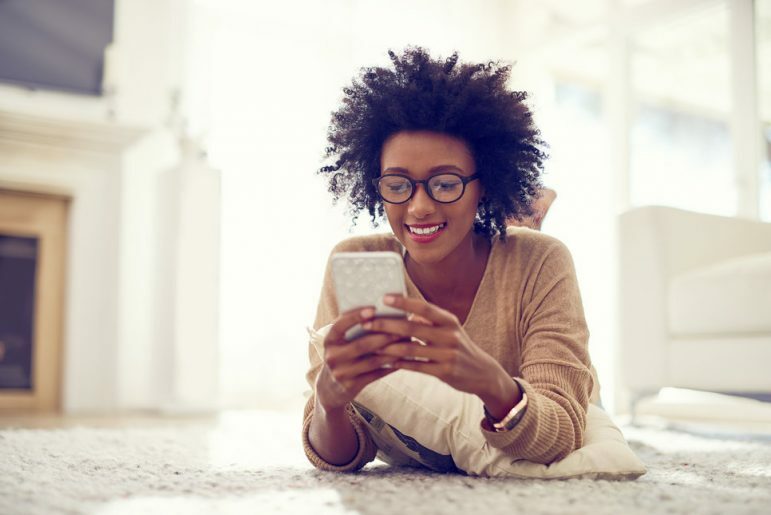 These apps can help you set realistic budget goals and track your spending habits to see where your money is going — and help you save some of it! We’ve pulled together a list of some of the most popular and user-friendly choices to help you stop living paycheck to paycheck and increase your financial health. Read on — your bank account will thank you. This is by far one of the most popular and well-rounded apps on the market. Run by Intuit, the folks behind TurboTax and QuickBooks, it is a one-stop shop for syncing all of your bank, credit and loan accounts along with your monthly bills. See what’s due and when, where you spend the most money, how much you really have and if you can afford those new shoes. Even if you don’t set up a budget, it breaks down your weekly spending habits by category and gives you a snapshot of your net worth. Plus, you get free access to your credit score. Free. If your goal is getting out of debt fast, then take a look at You Need a Budget (YNAB). The app’s focus is giving “every dollar a job” and making it work for you — it reports that the average user saves $500 in the first month of use. The app syncs with bank accounts and walks users through setting up a budget, goals to pay down debt and how to get ready for unexpected spending needs. Working as an accountability partner, it won’t let you create budgets for money you don’t have and helps you refocus if you get sidetracked. First month free, then $6.99/month. Free for students. While not a full budgeting app, this streamlined app is perfect for folks who just want to track their expenses without having to do a bunch of work. It’s super easy to get started with, as it only requires your name and email address. Once signed up, you can follow your money trail, take photos of receipts and even use GPS to autofill in locations. You can’t set budgets for specific categories or items like Mint and YNAB, but it will let you set overall savings goals. Free. This app is perfect for stock newbies and those who want to, but thought they didn’t have enough money to, invest in stocks. Sync your cards to the app and it will automatically round up purchases to the nearest dollar and invest those coins into your choice of exchange-traded funds (ETFs). So, if your purchase was $82.54, the app will round up to $83 and invest $.46 into your investment portfolio. By the end of the year, you could easily have invested upwards of $500 and $1000. Even better, you never see the money so it doesn’t feel like you’ve lost anything. $1-$3 per month; free for students. Get real about your financial health and save some coins with this app. Once you sync your accounts, you’ll get a financial health score based on income and debt. It will then track your bills and spending habits and suggest spending changes. Its winning feature, however, is Albert Savings, which automates and builds your savings by putting away a few dollars each check. Twenty dollars here, $10 there — it adds up without you even thinking about it. And, like Acorns, you don’t really miss it because you don’t see it happening. Cost: $1-$3 per month, free for students. This is the grandfather of budgeting apps and has been around in one version or another since the ‘80s. Its name recognition alone can help convince those who don’t trust the “interwebs” to manage their finances online. It’s also a great tool for small business owners and folks looking for long-term financial planning like retirement and college. You can also sync and pay your bills directly from the app. $5-$10 per month. This app is part investment tool, part budgeting app that gives users the full picture of their net worth. This app is perfect for the stock market junkie. You can sync not only bank accounts but also brokerage and, even, 401K accounts to manage your financial health and wealth in real time. It is also a great tool for planning for college and retirement costs. Free. This app modernizes the old school budgeting method of putting funds allotted for different expenses (like rent, entertainment and food) into envelopes, with the thought that once the money is spent, it’s gone. Sign up and establish spending goals based on income and expenses and assign dollar amounts to each digital envelope. $0-$8 per month. This is just a short list of a plethora of apps on the market to help you get your budget and finances in order. If these don’t work, don’t sweat it. Scroll through your app store or talk to friends to see what they’re using. The primary goal is to start thinking about how and where you spend your dollars, long-term financial goals, and how to set some aside for a rainy day (or a sunny vacation).